Despite being a technology savvy nation with less control on site access and more focus on privacy, France has often been dubbed as a ‘fertile ground for cyberattacks’. In fact, post the infamous Paris terrorist attacks France’s internet police recorded 19,000 cyberattacks in a week, with a few DDoS attacks. Statistics of cybercrime in the country show an inefficient system. To provide an insight, for e.g. ; malicious URL is considered to be the second on the top 20 list of malicious objects online. 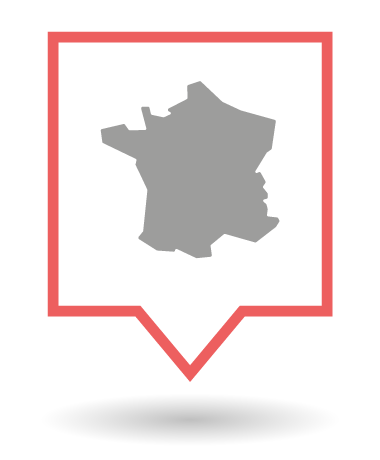 Regarding the geography of malicious URLs, France hosts 8% of online malware resources and contributes 8% to phishing crimes. France has had a total average of § €3.4 data breaches among 30 companies for the year 2016. This explains the lack of a well informed and skilled system that understands the need to have not just a vulnerable free network and security system but a team that works on incident handling. At EC-Council, the work is done on a foundational level in creating cyber security certifications France to train information security professionals. Understanding how every individual and data on a global scale is connected and where the possibility of a threat might arise. The Certified Ethical Hacker from EC-Council is one of the leading certifications in Ethical Hacking Training. With its complex yet specific 21 modules, it provides the fundamentals of penetration testing any professional would need to know to step into the field of Cyber Security. The online ethical hacking course gives extensive theory and hands on practical sessions on SQL injections, cryptography, mobile hacking, password attacks, Trojans, virus etc give an in depth knowledge about how a hack is carried out and what countermeasure can be taken to elevate them from occurring again. Network security, Internet Security and System Security are the main areas of interest in the CEH certification France. At EC-Council, the course is continuously updated in its content to keep up with the emerging technology and advancement in the methods Black Hat Hackers use to take down any system. This course prepares you for EC-Council Certified Ethical Hacker exam 312-50. The online ethical hacking course covers various topics of information security pertaining to ethical hacking, pen testing, basic system security, internet security etc across various locations. Become a Certified Ethical Hacker France. To find out more about CEH online training France and registration for a class at your nearest location, Click here. All courses are available online, at training centers and client-site. The ethical hacking course, CEH is undeniably the most sought after Ethical Hacking Certification France.